Wat Phrathat Doi Kham is a very special retreat place. Famous and popular bouddhist place for local peopl. 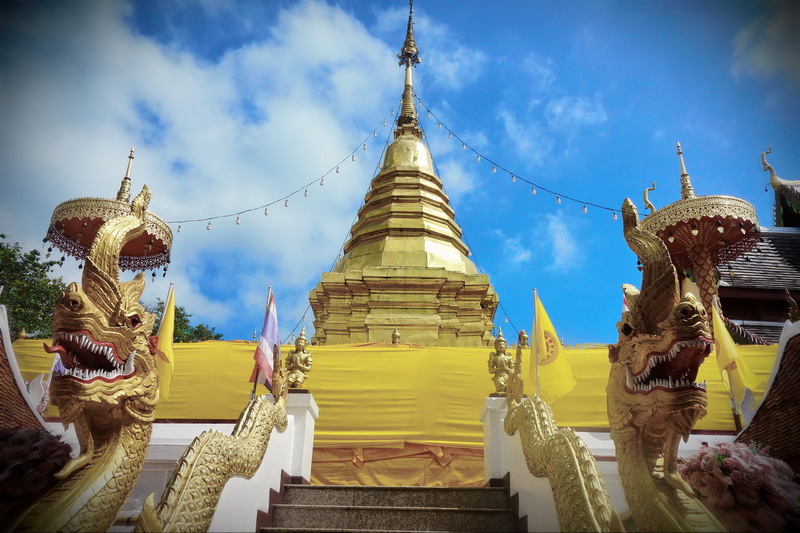 Most visitors to Chiang Mai have been to Wat Phrathat Doi Suthep on top of the mountain overlooking the town. 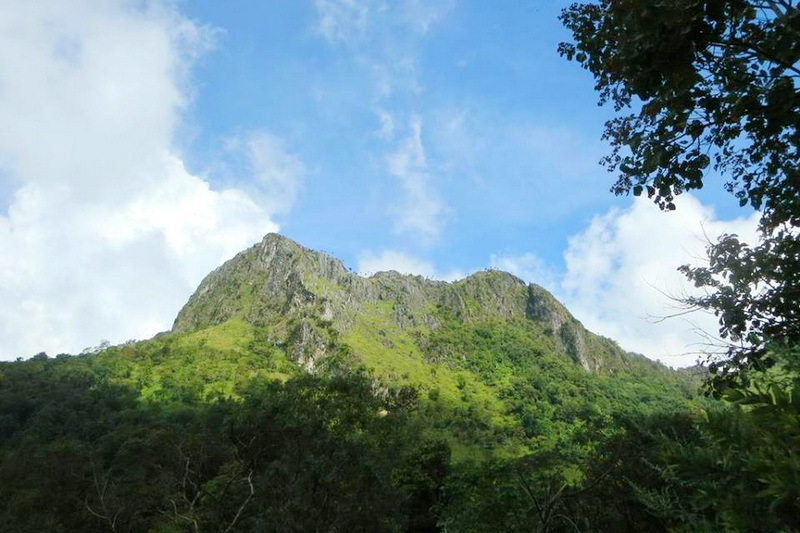 But there is another holy temple on a mountain top close to the city that few know about. 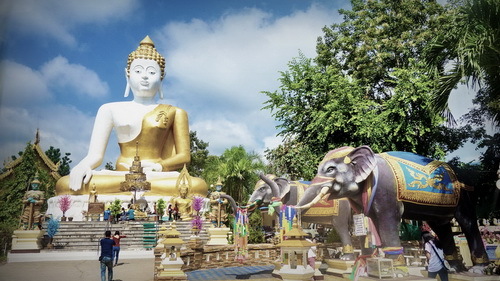 The temple, Wat Prathat Doi Kham, is also home to the largest seated Buddha image in Chiang Mai. 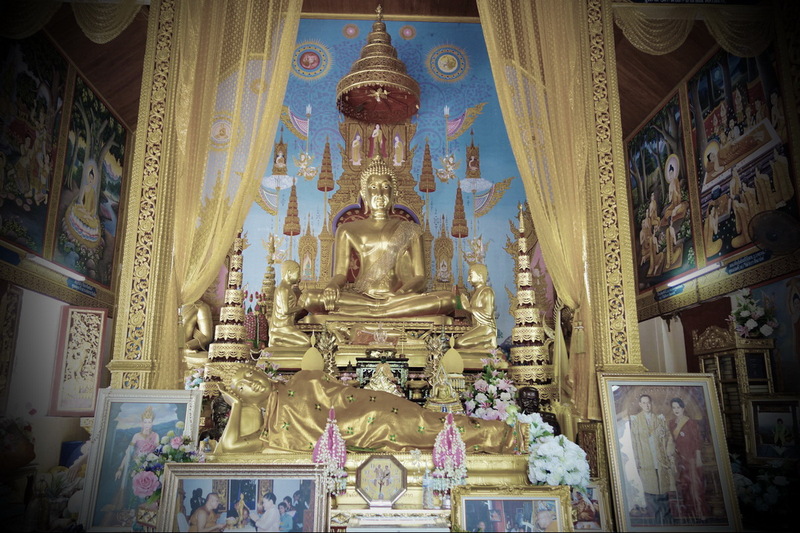 The Buddhist temple Wat Phrathat Doi Kham is also often called Wat Doi Kham or Golden Temple. Literally, the name means “Temple of the Golden Mountain“. Phrathat Doi Kham temple was built more than 1300 years ago, in 687 A.D. situated on a lush mountainside near Chiang Mai Town. It had been abandoned, but in 1966 villagers discovered a hidden chamber containing many ancient Buddha images of various sizes, and this find prompted a revitalization. The oldest structure of the Wat Phrathat Doi Kham is the pagoda. It had been built in the Buddhist Year 1230 B.E. containing a hair of Lord Buddha. However the ancient chedi had collapsed during the rainy season in 2509 BE (note 2008 A.D. equals the Buddhist year of 2551) In the extensive history of the temple described in an available booklet, this pagoda here is being mentioned as the “sister-pagoda” of Phra That Doi Suthep to the north. 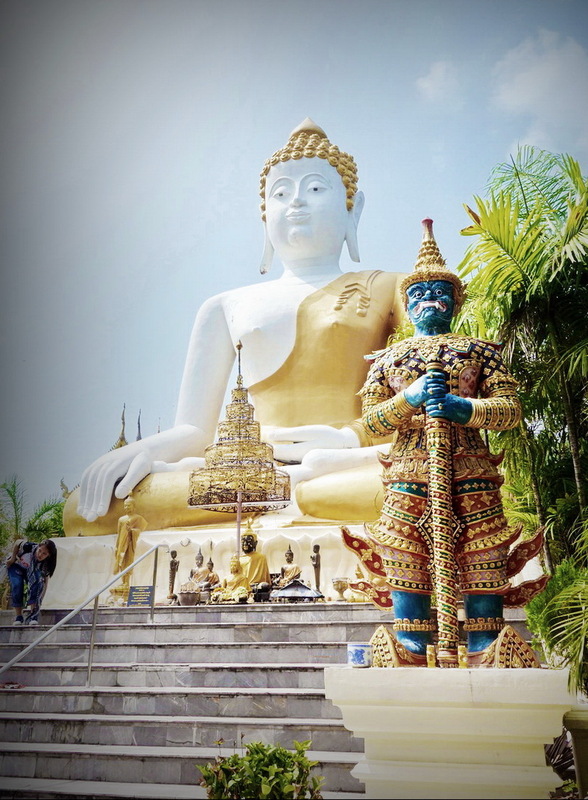 Besides the 17m tall Phra Buddha Napeesipinkarat Buddha image there are some beautiful statues inside the small Ubosot in front of the Chedi. Removed at some distance from the temple itself, an enormous white pearl Buddha statue is strikingly placed amidst the mountain greenery. 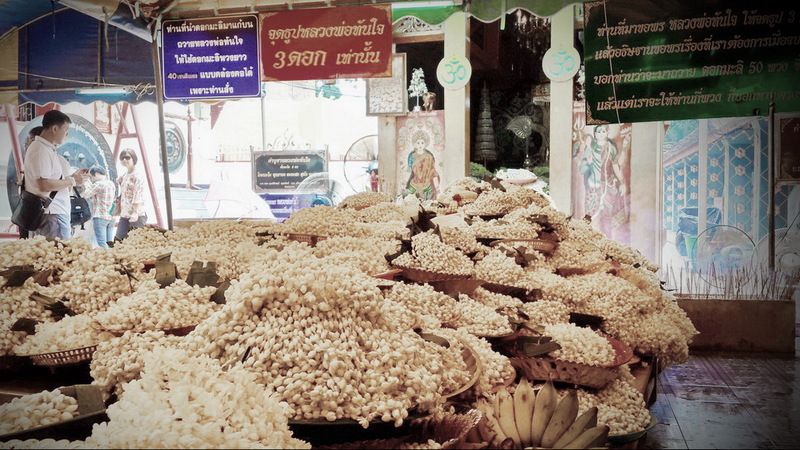 People in Chiangmai will know about this famous temple located up in the mountain. It say if you wish for something from Buddha image of the success (Named “Luang Por Tun Jai”) and if it comes true, you will have to go back and offer Jasmine flower to the Buddha. 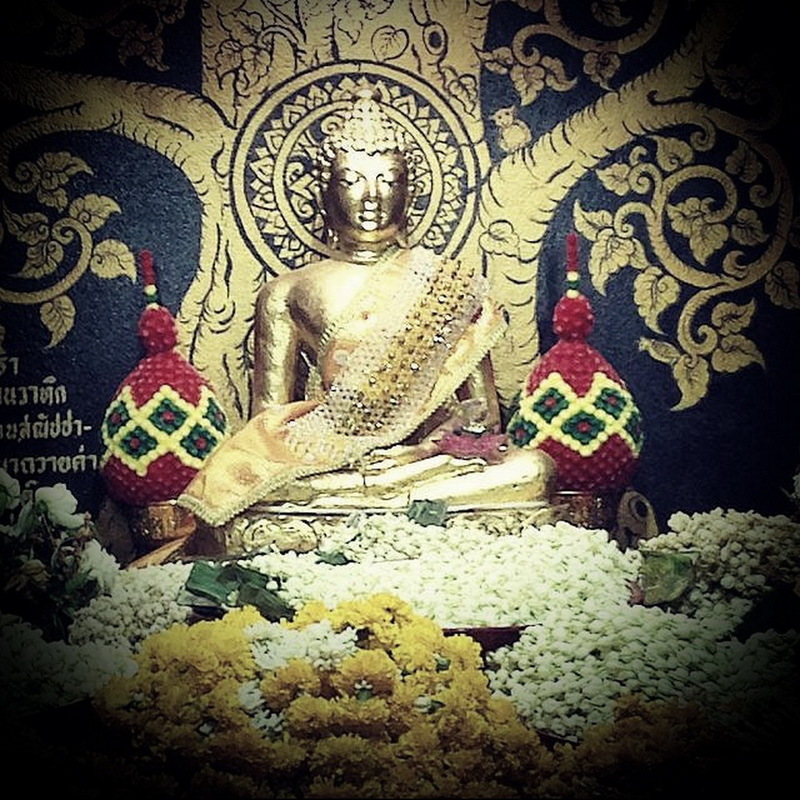 Pray to “Luang Por Tan Jai”. You need to speak only one wish you really want, your Name and Surname, how many jasmine garlands you will worship him (at least 50) after your wish become true (in 3 months). From the photo, you can tell how many people has gone back to thank the Buddha. 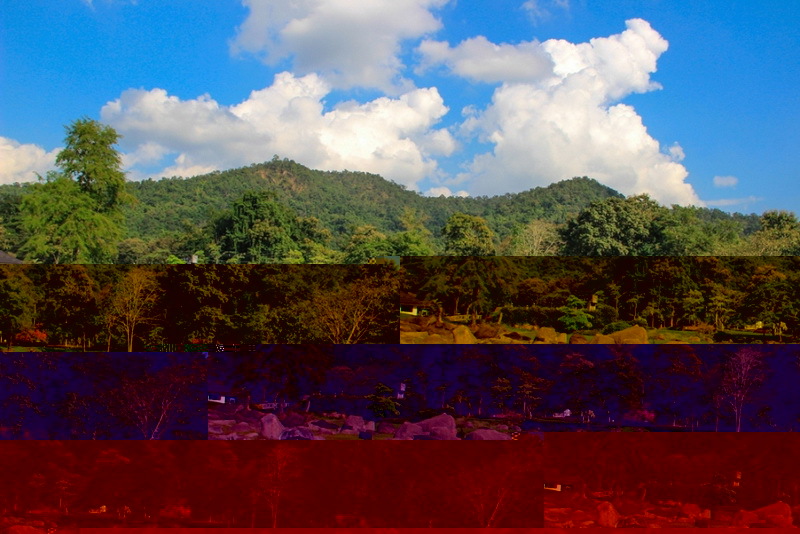 The temple ground has views of both the city of Chiang Mai and the hilly, wooded mountain landscape of Doi Pui Mountain. 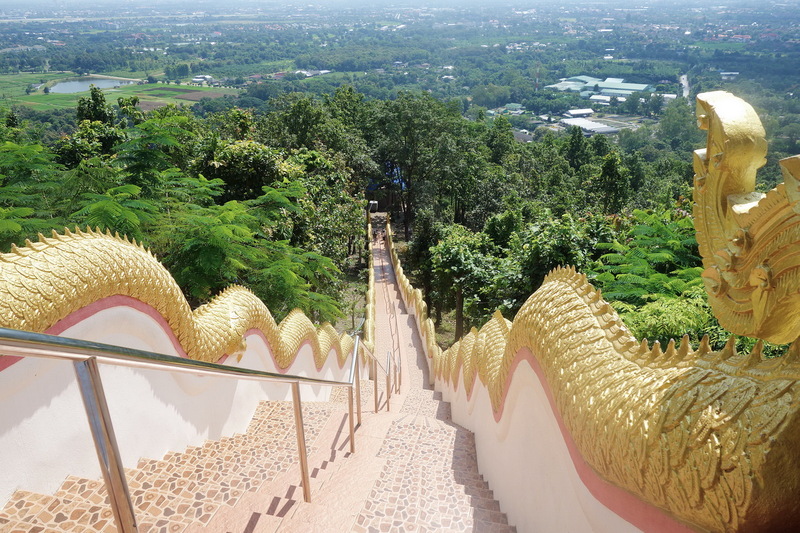 The Wat Phrathat Doi Kham is located on top of a mountain South West of Chiang Mai city in Mae Hia sub district almost 10 kilometers from the town center. 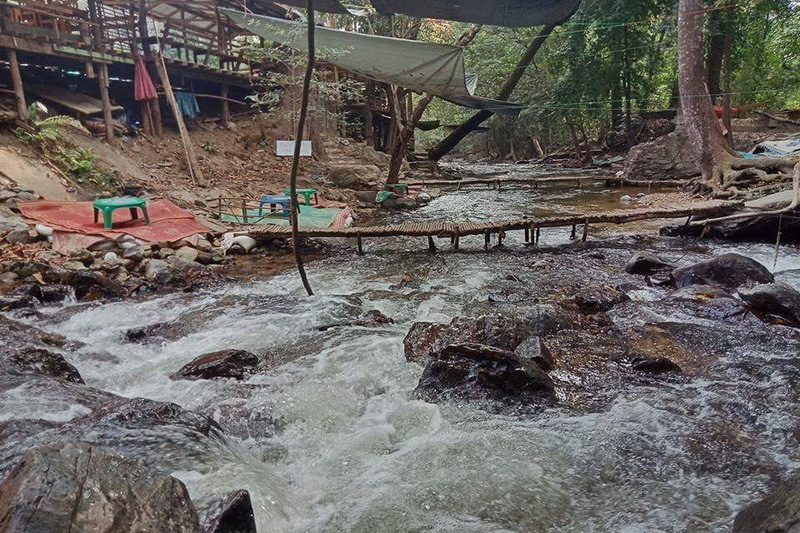 It is just North of Royal Flora Ratchaphruek. 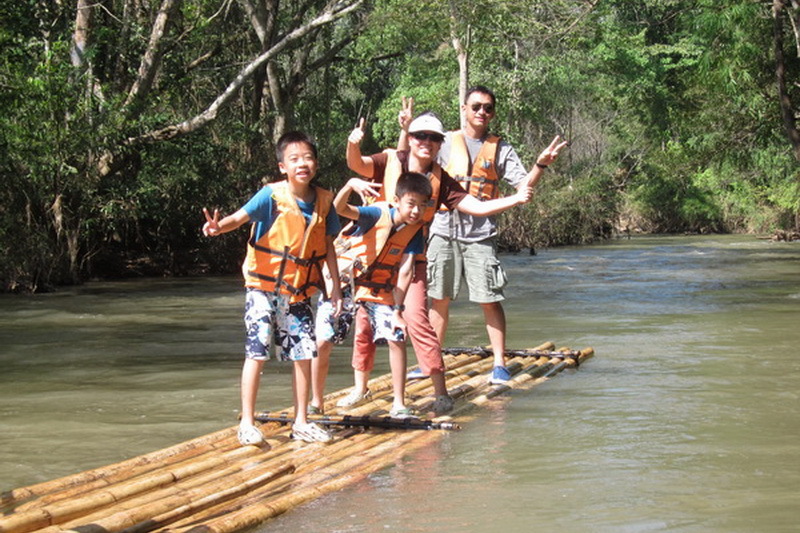 You can visit Phrathat Doi Kham between 08:00 a.m. – 05:00 p.m.